In a recent guest post for Clearvision, QASymphony’s Kevin Dunne discussed how agile adoption is often focused on software development, with less of an emphasis on testing – but how when the testing team is included, it’s a huge benefit to the entire software lifecycle. The same applies to the business or organisation as a whole. Agile is no longer just for software. 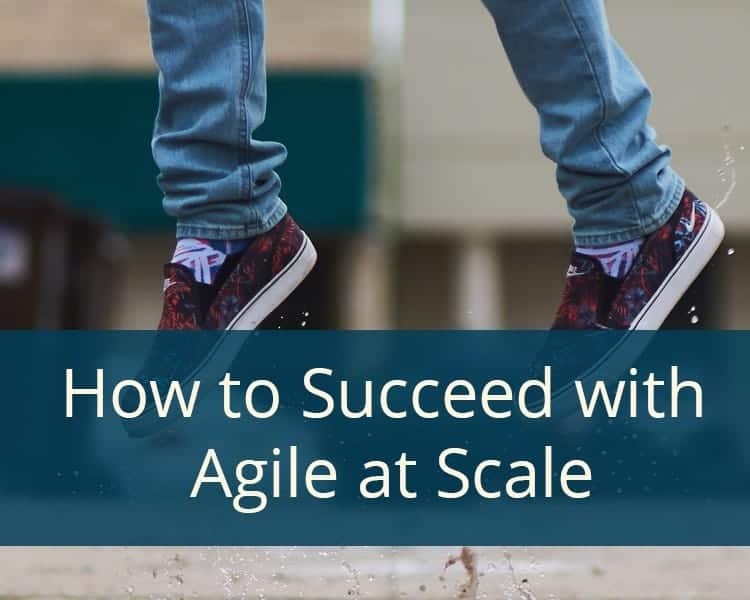 It’s time to scale agile methodologies across all teams, and in this post we’ll explore the best ways to succeed with agile at scale. The many benefits of agile software development are well known, but this can act as a double edged sword. While it might be easy to convince development and testing teams that it’s worth making the transition to agile, it’s not always the case for the rest of the business. You may encounter the “but that’s for software” mentality – and introducing change into a sceptical or hostile environment makes the process a lot more challenging than it needs to be. The truth is, the benefits of agile apply across the business, whether it’s software teams or marketing and beyond. One of the best tactics for introducing change and scaling agile beyond software teams is to make the teams that are benefiting from agile practices more visible. If you’ve started with your software teams, make them agile advocates. Be vocal about the results. Celebrate them. When the rest of the teams across your business see the improvements agile methods bring, they’ll be a lot more receptive and open minded when it comes to new processes. This is key in achieving the communication and collaboration that makes agile such an effective method of working. When all areas of the business work according to the same agile principles, they’ll begin to adopt a common language. This helps break down the barriers between siloed teams – communication becomes simple. This process is made easier by the adoption of common tools across teams. Many agile tools today – Atlassian Confluence and JIRA are particularly strong examples – have been designed to be flexible and adaptable enough to work for all teams. Workflows, roles and templates can be configured to suit everyone, and it means the whole business is working on the same page. In VersionOne’s 10th Annual State of Agile Report, 40% of respondents cited “agile consultants or trainers” as their top tip for agile success. It’s clear why. This is one of the best ways to make sure your teams achieve that consistency in their processes and practices. An agile consultant will work with your stakeholders to understand your organisation’s requirements and priorities. They’ll use this knowledge and work with your teams to implement and configure the right tools and workflows. “Going agile” is, in itself, a process. Working with a consultant as you begin to scale agile across your organisation means you have solid, steady groundwork to build on for success. If you’re interested in taking agile beyond development and testing, Clearvision’s consultants have worked with organisations across the globe to configure and scale their agile tools and processes. Find out more and get in touch!